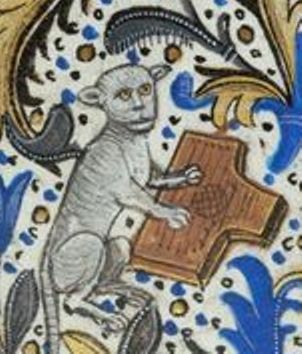 Psaltery played by a cat in a Belgian Book of Hours, c. 1470. There is something quite enchanting about the silvery sound of the psaltery. Its name probably originates in religious use, as an accompaniment to singing songs from the psalms, known as psalmody and sung from a psalter, thus the psaltery. The word is from the Old English psealm or salm and Old French psaume or saume, derived from Church Latin psalmus, which itself comes ultimately from the Greek psalmos, a song sung to a harp, and psallein, to pluck on a stringed instrument. Appearing in Europe from the 11th century, the psaltery’s wire strings rang out in religious and secular contexts until around 1500, with a little evidence of a pocket of survival for a few decades after that. Its regular appearance in manuscript iconography, church iconography and in Geoffrey Chaucer’s Canterbury Tales are evidence of its wide use and appeal. Its influence and evolution is surprisingly widespread, giving rise to the hammer dulcimer, the harpsichord family and ultimately the piano.